The color intensive blossoms of the Tagetes compete with the sun when it comes to shining. 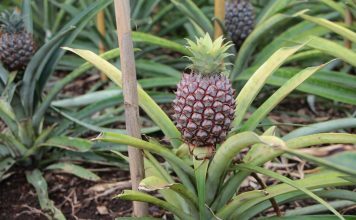 Starting in the 16th century, the plant came from Central America to Europe and has been a popular plant in our gardens ever since. Thanks to its low maintenance character, it does not require daily attention from the gardener. We will let you know how to do everything right with the Student’s flower in this instruction. One can not think of a summer garden without the Student’s flower anymore. 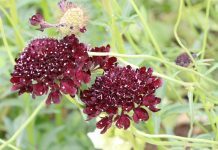 With its shining lime yellow to brown red inflorescence it boosts the image of not only flower beds, but also balcony buckets and graves. 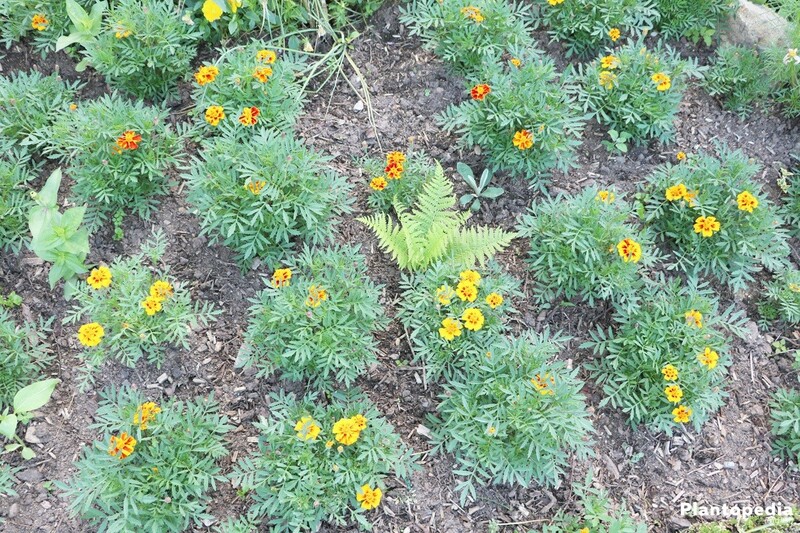 Many hybrids of the Tagetes have two colored flower heads. 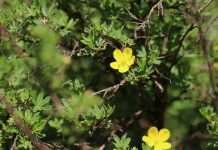 The Student’s flower was out of fashion for some time, which might have been because of its strong aromatic scent, which was perceived by many as very unpleasant. 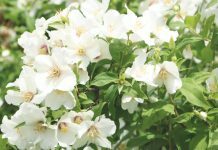 This scent has been bred out of newer versions of the plant. The new scent did have advantages though, as it warded off parasites like the white fly in a natural manner. 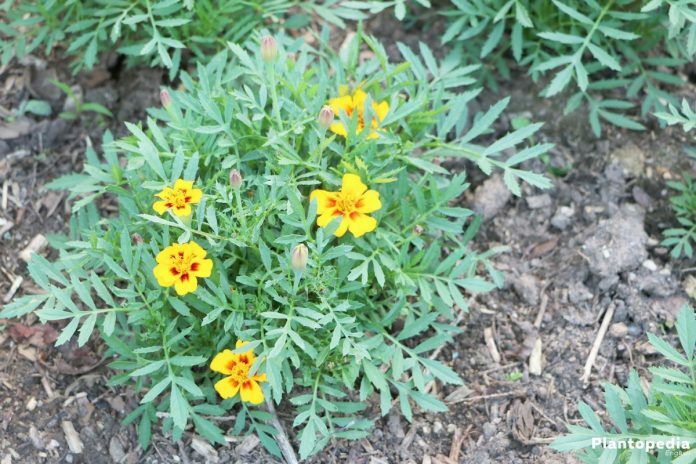 The approximately 50 wild growing varieties of the Tagetes belong to the family of the composite. 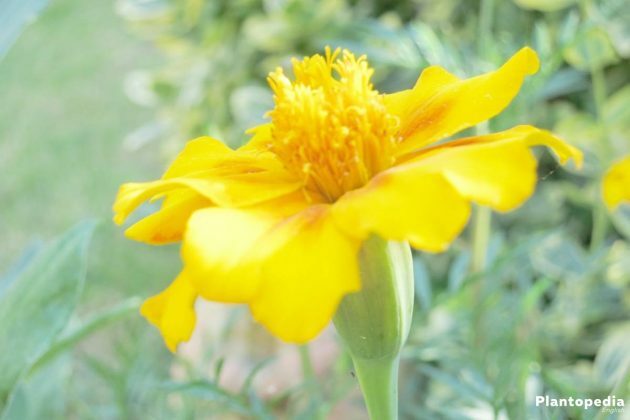 In our regions, the most widely spread are the hybrids of the Tages patula and the large flowered Tagetes erecta. In early summer, ordinary or filled blossoms in multiple hues are growing on the bushy plant. From a bright yellow to orange tones and brown red, all shades are represented, in part even multi colored ones. The older varieties spread an intensive scent via glands to the edges of leafs and roots, which is not perceived as pleasant by everyone. That is why aside from the name Student’s flower or waxflower, the rather ugly names funeral flower or student’s fart have also been established in reference to the flower. 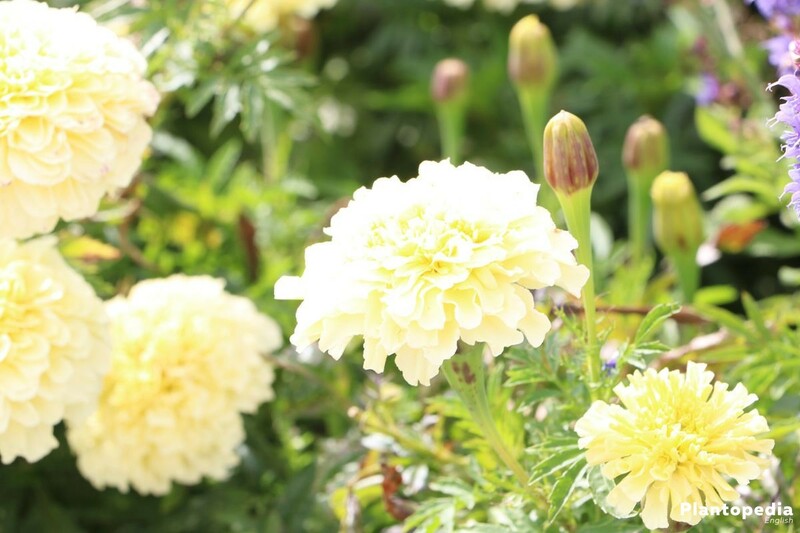 The Tagetes belong to the most popular continuous flowers in our gardens. The flower are nearly indestructible, which is why they are not only suited for beds and stone gardens, but are also perfect t be planted in graves because of their low maintenance character. The colorful continuous bloomers are however not winter hardy. That is why they have to be planted and sown anew every year. 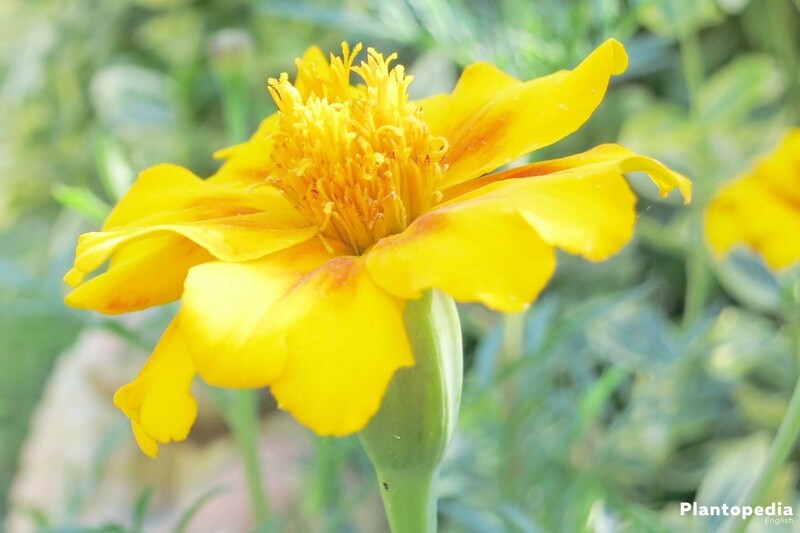 In order to fully expand their beauty, the Tagetes require a full sunny location. 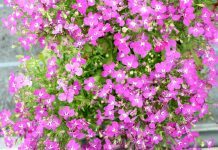 The low maintenance Student’s flower thrives on the southern house wall, a sunny bed or even southern balconies. It is regarded as nearly indestructible and nearly adapts to every condition there is. Only some thing that the plant does not do well with: Water logging and shadow. 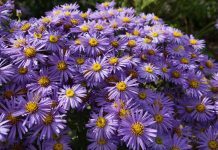 The Student’s flower grows lavish blossoms up until the first frost in October if placed at a sunny and warm location. A half shady location is being tolerated is well, does lead to a less attractive visual appearance though. Great combination partners are marigolds and cornflowers even smaller varieties of the sun hat and the lobelia erinus. Regarding the soil quality, the Student’s flower is not quite picky. As long as the garden ground is not very heavy or threatened by water logging, it does well with all conditions. In spring one can buy the most different varieties of the Tagetes in a specialist store. 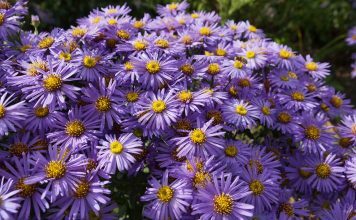 These plants can from the start of the Middle of May, when there are no more late frosts are to expected, be planted outside in a flower bucket. With a proper soil preparation, one can create the best conditions for a long flowering season of the Tagete. That is why you should meticulously rake the bed and free the desired planting spot from old roots, stones and weeds. Hard grounds can be made more permeable with some sand or grit for water and air. With very sandy underlays, adding ripe compost or humus potting soil might help to provide nutrients and to better keep water in the ground. Place the plants into the planting hole and fill the gaps with substrate. The earth should be pressed on slightly by hand be watered again subsequently. 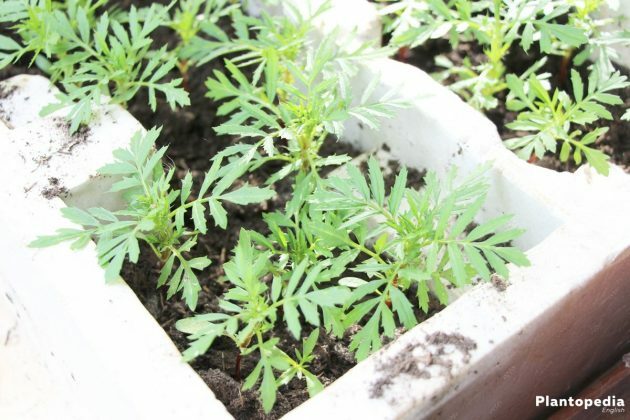 The Tagetes can also be cultivated in planting buckets or balcony baskets. 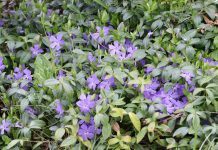 Suitable are especially the varieties of small nature. Use in this case always vessels with drainage holes, as to prevent accidental soil wetness. One should will a layer of gravel or expanded concrete under the drainage holes, so that the water can flow out more easily. 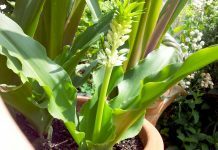 Ideally add some horn shavings as a long time fertilizer to the substrate, in order to offer the best starting conditions to the Student’s flower. 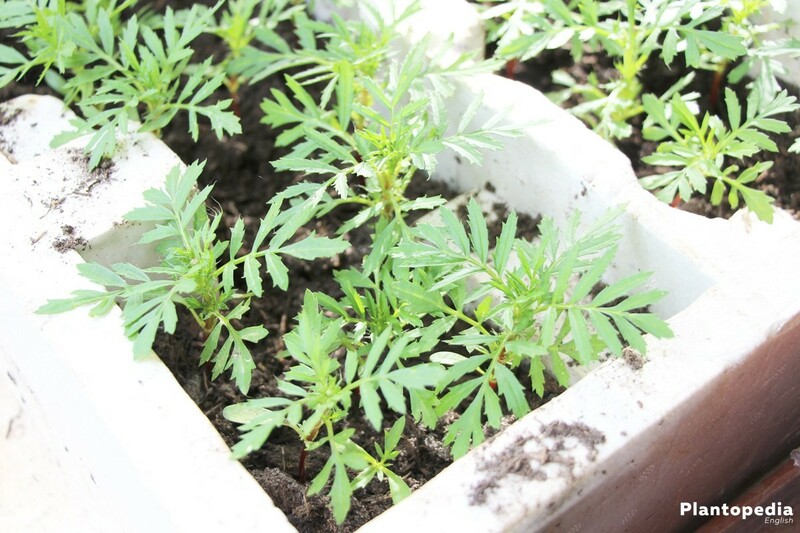 The Tagetes should be well watered after the planting process. Surplus water should be removed from the trivet at the most 10 minutes after planting. 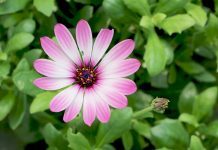 The Student’s flower might be available for a few cent in a garden store, it can however also be cultivated from seeds. From the start of February, the seeds for the pre culture are being sown inside the house, from the start of May, the seeds can be strewn directly outside. One creates, when pre cultivating inside the house, a clear advantage for the blossom so that it might as well blossom four weeks before the sowing outside. Student’s flower are relatively keen to germ, bigger deficits only rarely occur. There are mostly problems with germing if the seeds have, at the time of harvest, not yet been ripe or dry. The sensitive seeds also do not tolerate frosts. 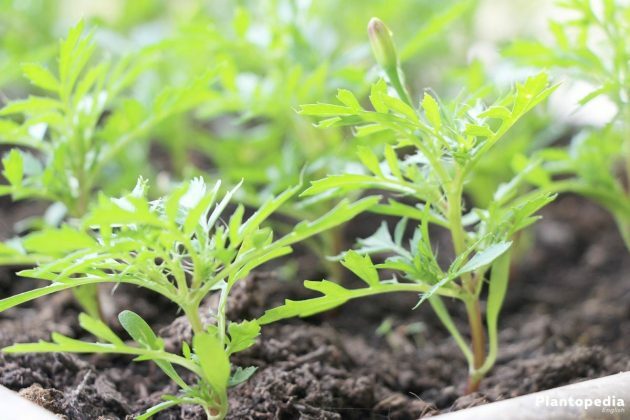 If seedlings have grown, the plastic bag or covering is to be removed. From a height of 8 cm on, the young plants can be planted in single pots with humus rich substrate. Outside, the planting should not occur when there are no more frosts to be expected. 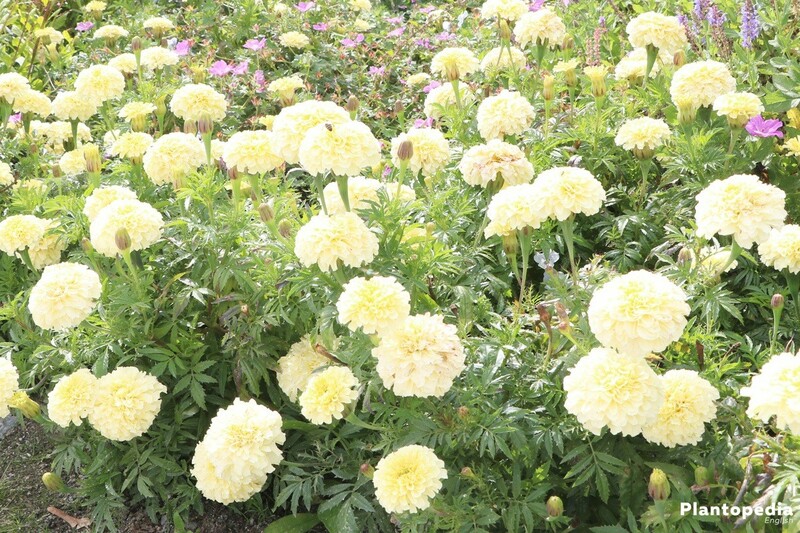 In its home, the USA to Mexico up to Argentina, the Tagetes grow on hot, dry slopes. Because of that, it thrives with some less water in our beds and flower baskets. Outside, the Student’s flower only has got to be flowered during long dry periods. If the Tagetes beautify the balcony, they mostly need some less water daily. The colorful blossom tolerates barren grounds, which do not have a lot of nutrients in them. On nutrient rich substrates, the plant will grow an increased amount of leaf mass and only little blossoms. That is why fertilizing is only recommended in the cultivation phase, and only very moderately. 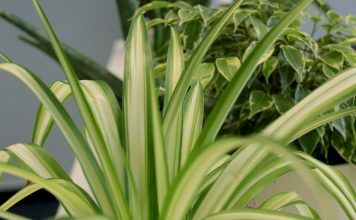 Concerning balcony plants growing in little earth, a liquid fertilizer low in nitrogen is recommended (At the most every four weeks). 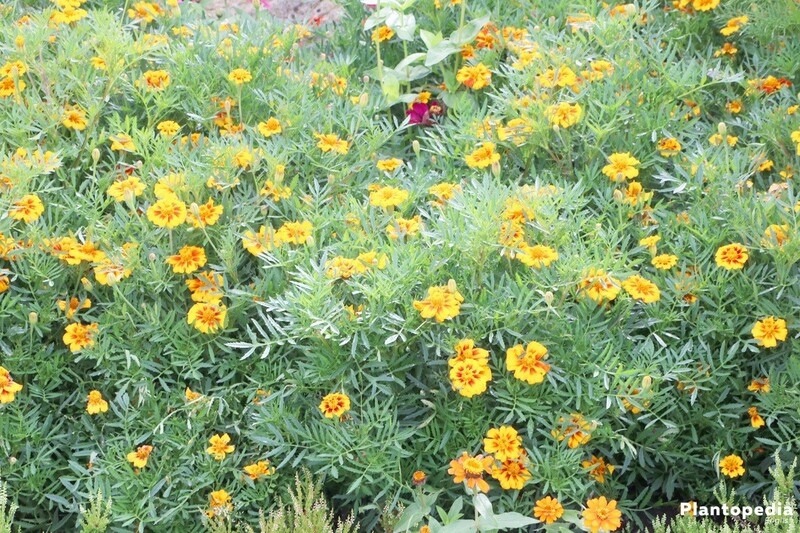 In our areas, Tagetes are being cultivated thus have not to be cut. Only withered or sick leaf should be removed in a timely manner. 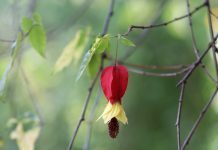 If withered parts are being regularly removed, the plant not only appears more beautiful, but also grows more blossoms up until autumn. Whoever intends to multiply the Student’s flower himself from seeds, should let some blossoms stands get ripe. Unfortunately, none of the multiple varieties of the Tagetes is winter hardy in our latitudes. That is why the plant must be bought anew or should be cultivated by oneself from seeds. 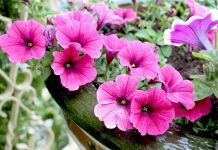 Whoever cultivates the Student’s flower in a bucket in a balcony basket and has a winter garden or a heated greenhouse, can hibernate the plant in a bright environment with 16 to 18 degrees. Important in this regard is, to put the plant inside at the right time. 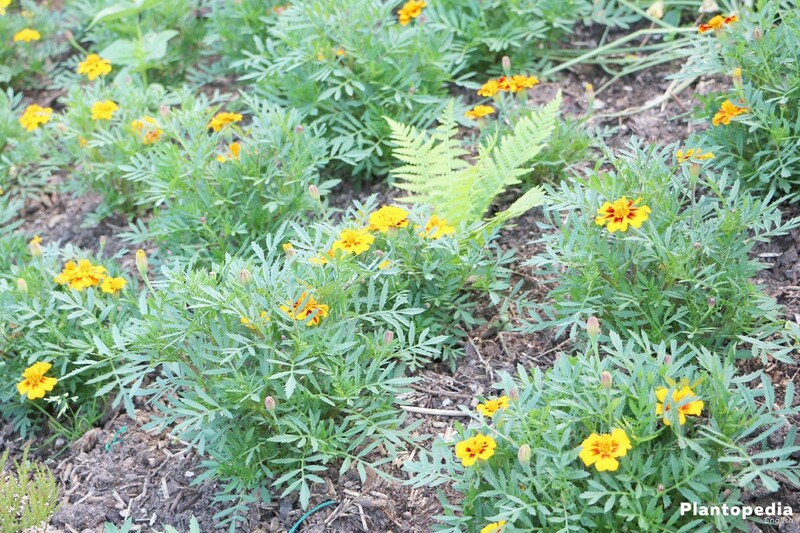 The Tagetes should be sparsely watered in its winter quarter and not fertilized. The effort is mostly not worth it though and it might be easier, to get the plant from seeds in the coming spring. 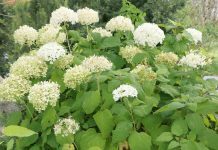 As the Student’s flower tolerates cool temperatures only to a partial extent, it is normally being cultivated as an annual plant in our region. If one lets the wild forms grow seeds, they sow themselves. Certain cultivation forms are unfortunately sterile, so that they can not be multiplied in a generative manner. With self harvested seed stands it is mostly not foreseeable, which specifications the new plant will have. Crossing are often occurring or it is especially attractive specifications which disappear. 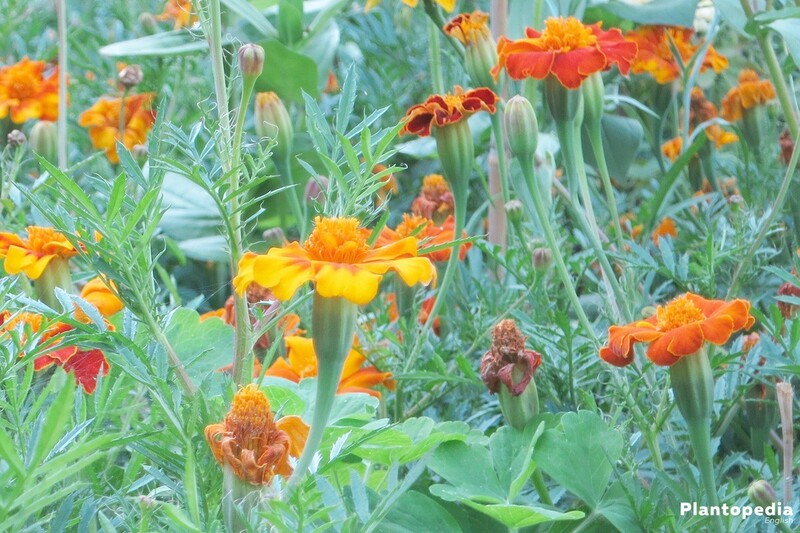 Whoever want to cultivate a very special variety of the Tagetes should stick to seeds from a specialist store. Whoever wants to multiply the Student’s flower himself, can reap the ripe seeds on the plant in autumn. The seeds should already be well dried. If they are well dried, they can be stored for some time without frost. Doing it this way, cut the seed stands off the plant and dry it over a week in a newspaper in a warm location. The seed stands are subsequently being placed in a plastic bag which should be inflated with air. When the bag is shook, the seeds slightly loosen from the capsules and can easily be removed. 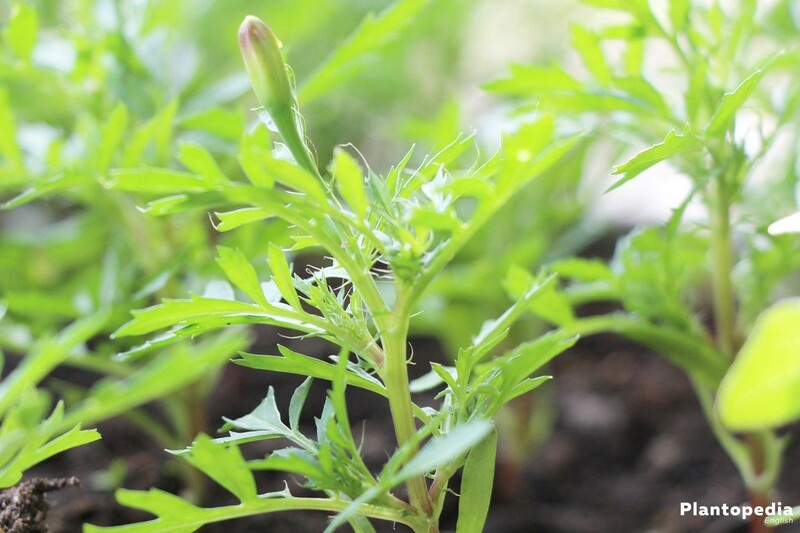 From the start of February begins the new cultivation phase on the window sill or inside the house. Outside it begins from the start of May. Aside from the popular varieties, odorless breeds are available in retail. 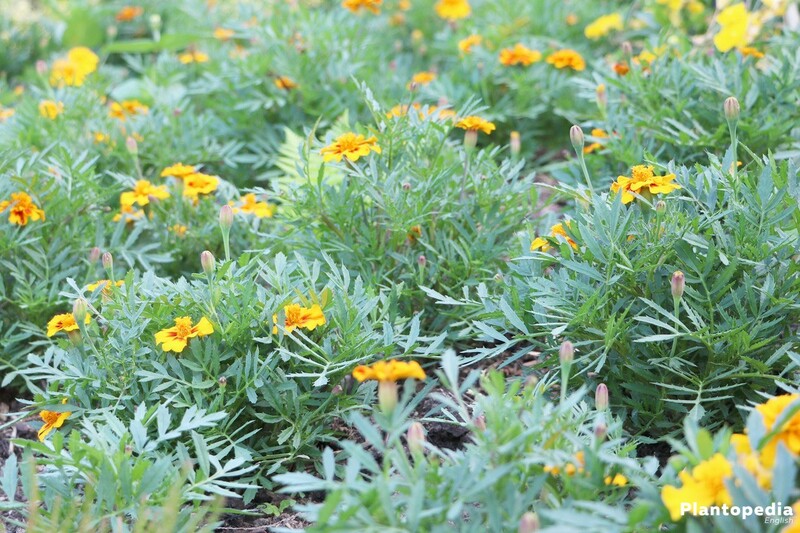 There are also Student’s flowers with a pleasant smell like the cream colored licorice Tagetes (Tagetes filifolia). In culture one mostly encounters annual Hybrids. 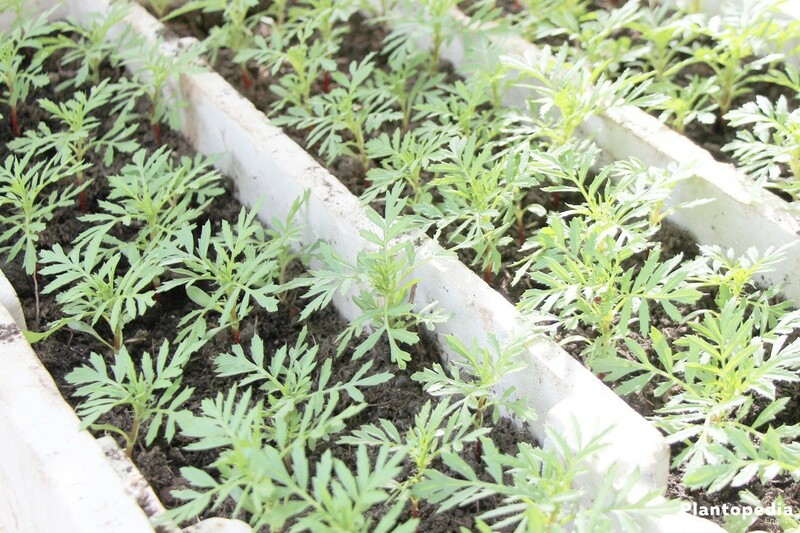 The scent intensive varieties of the Tagetes are defending, at least for some time, effective flies and other insects. The fragrances, which are being emitted by the plants, are not being liked by many insects as well. 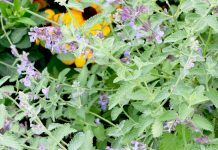 Whoever wants to fend of parasites from the vegetable bed, can place the sympathetic “stinker” as an edge plant or between the crop plants. At this spot, the Student’s flower not only defends against lots of fly varieties, but also kills nematodes in the ground. The roots of the Student’s flower secrete terthiophenes and initially attract the nematodes. The Student’s flowers are especially effective with mixture plantings with roses and root vegetables. 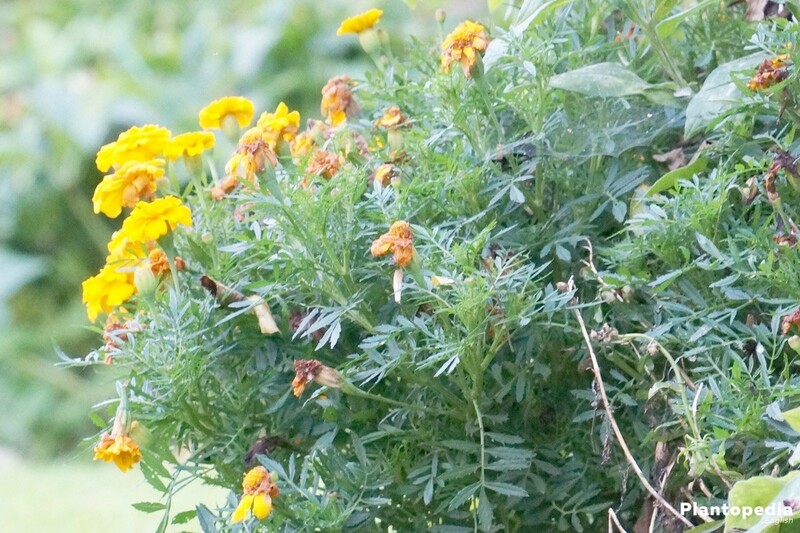 Located at the right spot, the Tagetes are rarely being affected by diseases. The Student’s flower is not only popular among gardeners, but also among snails. You can not (except with an effective snail protector) do anything about that. 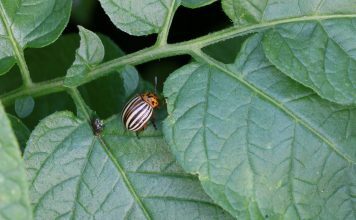 This preference can otherwise be used in the garden, by using the flower as a distraction plant (food substitution plant) and this way protect strawberries or salad of snails. On the upper leaf side, white yellow elucidations are showing in the form of dots. On the lower side you can find pin sized animals. The typical white webs are forming in the event of a stronger infestation. 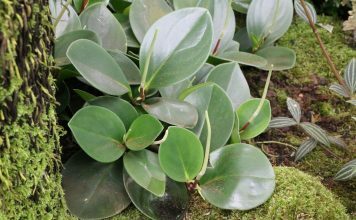 Generously cut the shoots out and treat the plant with a mixture of water, alcohol and detergent.